Northerntruthseeker: Stephen Harper Must Be Stopped! Canada: The Cover-Up And Steal Of Another Election. The Harper Corruption Of Canada And Opposition Fear To Name It! Stephen Harper Must Be Stopped! Canada: The Cover-Up And Steal Of Another Election. The Harper Corruption Of Canada And Opposition Fear To Name It! The underlying deep structure of amnesia and illusion can be formulated in one sentence. National elections are increasingly reduced to a corporate market game of propaganda to sell one product rather others to targeted private-interest groups who will behave predictably as an aggregate as buyers of commodities for sale. The first premise here is that public intelligence does not exist, and the second is that any lie and fraud you can get away with is smart. No-one seems to see the entailment that the common life interest of citizens is ruled out a priority. Slogan rhetoric and partisan hype is all there is for the P-R managers of the game. “Middle class” can be asserted as vehemently by one party as the other with no meaning. The health, home and literacy of all citizens, not just the middle class having more money, is repelled by the marketing mind. Here the common interest is the latest opinion poll of selves with no facts involved. The party meant to oppose this refuses to say it and the mass media never allow it into their ad vehicles. So the ‘left’ party buys in and presses everyone on its lists to give more money to pay corporate media for more ads. One X on a card at the end decides it all in the end. Yet ever more people cannot access even that. This is the design of Harper’s Orwellian ‘Fair Elections Act’, excluding all those without an official identification resident address – in short, the poor and native citizens. Buttressing this fix of the election, Harper rule redefines electoral boundaries at the same time so that his party picks up an extra 22 seats, compared to the NDP and the Liberals adding six and two seats respectively. The rigging and frauds never stop. This is one way in which the Harper regime reduces the country to a looting basin for border-less corporate market vehicles. His “economic record” never deviates from this outcome, but this again is taboo to say in the campaign. Mass ignorance rules along with absolute power to command. But no-one names the game. What distinguishes the Harper regime, from prior administrations is its war on public knowledge and democracy at every plane – its market-fascist logic. But who thinks through the meaning of every step? None is seen or connected on stage. A Orwellian propaganda field is the ocean to the voters and citizens surrounded by it. As always in this totalitarian corporate game, images are the only reality. 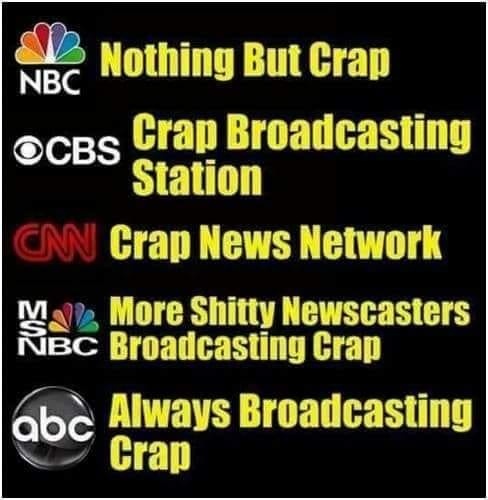 Corporate media carry the only common messages the majority see. The truth becomes whatever sells. Consequences follow. The Harper regime has not only torn up the Kyoto Protocol. It has closed down scientific monitoring of everything from freshwater fish and contaminants to unique carbon load detectors, fired 2000 federal scientists, shut down and destroyed public archives of fisheries and oceans, prohibited any public communication of scientific information by those remaining, and abolished habitat-protecting laws 99% of Canada’s waterways. Try to think of an exception. The long train of lies, abuses, interference, public information destruction, criminal appointments, violations of laws, and vengeful uses of the state beggars belief in its perversion of the democratic process. Even more deeply, the collective life capital bases on which every one of us depends from the atmosphere to the ocean bottoms to the rule of life-protective law and common knowledge are exactly what are targeted and de-funded to turn all of government into more private market riches at the top. We need to recall out of the memory hole of all that has been forgotten in the 2015 election what destruction Harper has wrought on Canada’s abilities to function as a democratic society and intelligent civilization. In fact, his meta program is to destroy everything that cannot be bought and sold for private profit – the underlying fanatic goal that is not seen. It includes what is not publicly tracked or connected – destroying the public post delivery and financially gutting the nation’s only public broadcaster CBC; attacking the prairie family farm by dismantling the Canadian Wheat Board; continuous gagging of elected representatives; continual appointment of criminals to office; stripping Statistics Canada and the mandatory Canada Census that are the recording memory of the nation; destroying the country’s gun registry against provincial and law-enforcement requests; continual anti-union interference in collective bargaining; smearing of veteran advocates resisting abuse and dismissal of their federal ombudsman; tax agency attacks on venerable social charities not towing the Harper line; gag orders on any federal civil servant not controlled by partisan public relations officers; lying attack ads without remission on any opposition leader who may compete against Harper; putting protesters under blanket state surveillance with black lists of their leaders; covering up torture and lawless police and armed-force killings across continents; risking the lives of Canada’s foreign troops for Harper photo-ops (he forbids any photographers but his own at press conferences); continuously false cost estimates of public money for new institutional violence, dispossession and caging policies; falsification or disappearance of documents across jurisdictions; use of Government of Canada identifiers and publication channels for party propaganda including even government cheques, altogether costing over $700 million of taxpayer funds; implicitly accepting bribes in return for public offices on the public purse for significant donors in every possible form of partisan pay-off; public contempt of parliament twice as prime minister with endless parliamentary abuses; fixed blocking of parliamentary and individual access to public information; silencing of the public service in every domain; forced loyalty oaths to political incumbents; omnibus bills that sneak through fascist-style overwhelming of any debate; secret trade deals that ruin the productive lives of countless thousands of citizens; dismembering Statistics Canada and lying about it; arbitrary shut-downs of Parliament when convenient for continued rule; incessant interference in independent bodies like the National Energy Board, the CRTC, the Integrity Office and - for reporting vast sums of illegal spending – the Parliamentary Budget Office itself. As for foreign affairs, Harper’s attack-dog regime has been by far the most war-mongering administration in Canada’s history. It has declared without any evidence Iran as the “greatest threat in the world” while applauding for the continuously war-criminal actions of the Israel state. It has led the NATO bombing of once thriving Libya to irreversible ruin. It has jumped to recognize the violent and neo-Nazi led coup in Ukraine and blame Russia for the resulting civil war and failed state. It has constructed endless false claims of Islamic terror threats and rushed to bomb in the Middle East to “stop ISIS” in ignorance of its Saudi-CIA funding, arming and creation. It has completely reversed Canada’s tradition as a peacemaker nation, voted off even the UN Human Rights Commission. If corporate-market PR machinations capture opposition parties themselves, there is no center of gravity of the common good. There are only sales pitches to targeted consumers. Nothing else gets in. Since private money alone can buy the media time to pitch political products, the competition becomes over who has more money to buy ads. That the election is won by those with most private money backing is an underling meaning that disappears into the frenetic contest to get more of it to win. Nothing else is defined but more-money-needed in the 2015 campaign of the NDP even after all the evidence is in. The shared life infrastructures of air to breathe, green space to enjoy and vocations to serve disappear from the conversation. Even the continuous frauds, lies, civil society destruction, and giveaways to the corporate rich are forgotten in this cover-up process not seen. Incredibly, no-one charges Harper for his proven record to destroy the very fabric of Canada’s democracy and capacity to govern for the public. It does not exist in this field of meaning. Only the memory hole remains on the campaign stage. One might say Harper is a fanatic beyond all precedent in Canada’s prime ministry, and a pathological liar by demand of the corporate market doctrine of which he is a creature. This is why the life-blind inner logic of what drives him is not available to his mind. What sustains him are the corporate media barons and the extreme right-wing business round tables from which he graduates. This is why he must always have them around in debates, as at the Munk centre. They pump him on in the CEO-despotism and greed they all bow to that destroys the world. The same happens across oceans in different variations. The TPP organizes corporate rule across the most distant continents into global dictatorship over all sovereign governments involved, over new and old unions of organized workers who can withdraw labour, over public policy shifts to serve people instead of endless foreign profits out of their countries, and over evolved resources of democracy and government by collective life need. This is the covered up meaning of Harper’s certitude of better lives for all. What life-blind doctrine has ever been so mindlessly ignorant of the facts of human life and the common life support systems of our planet? They simply do not exist to this corruption of mind. A border-less corporate market ever larger and more unaccountable to the public, human life and the biosphere itself is the God of the world destruction. Masked in the absurd slogan of “free trade” which is free for none but transnational corporations – and why they always love it – no media challenges this deranged mind-set any more than its big advertisers. And the two mainstream parties are always funded by its agents. This is why the evil consequences are always ignored even though they follow necessarily from these one-sided treaties of transnational corporate rights. These are the real certainties that even the money masters and their servants cannot deny – that big transnational foreign corporations will always displace and ruin small and local businesses in every sphere they enter; that jobs and wages will always be lost, lower and less secure in the aggregate; that organized workers in unions will always be smashed or reduced further; that environmental restraints and regulations will always be eliminated if they do not conform to corporate rights to the profits they expect; that no-one except corporate lawyers will be able to judge by secret tribunal operations accountable to no one or no international law whether a public policy is valid if a private corporation sues it at public expense; and that every penalty for not conforming to this corporate treaty mechanism, with no non-profit public body allowed to dispute it, is without upper limit of money punishment to be paid by the taxpayers of the country that has disobeyed the new global corporate rights as judged by the private and un-elected corporate-lawyer tribunal made up of the same people who wrote the treaty in secret and without public debate. The Harper regime has already lost 400,000 jobs under its watch. But the TPP will dis-employ more than that when race-to-the-bottom Asian wages, safety, financial and environmental regulations are available to transnational corporations and banks to feed on at the expense of Canadian society, sovereignty, family security, youth opportunities and natural life and resources. This is the competition to the lowest denominators of life and life ruin that Harper adores as his ideal, ‘the free market’ of private corporate money sequence that override all else. . But as well, the official opposition, the NDP party, has shot itself in the foot many times in this "campaign" by constantly refusing their own candidates' rights to freedom of speech and expression... Many have been "dismissed" from running for the NDP in their own constituencies for having the right of freedom of expression and saying, writing, or posting material at social media outlets, even from years ago! And to top that off, Mulcair has firmly been selling the fraud of "Climate Change" by saying that if he becomes the government, Canada will indeed sign on to criminal Carbon Taxation.... 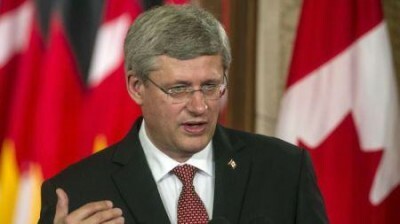 It is indeed pathetic that we as Canadians do not have an effective opposition to Harper's regime! Video of Putin scoring 7 goals on birthday other day. they let him score so they wouldn't face a death squad. Clearly nobody made an effort to stop him. Russia is not targeting ISIS. They are going after our backed rebels,and they say there is lots of different rebel forces in area including ISIS. Sooo is there truth in the death squad joke,they assisinate you if you do something wrong?? ?I think they gave the same label to Hitler???? Shouldn't we unite with Russia??? If the white race is in decline with all the muslims and Asians and blacks,would it not be common sense to unite with other white races????? What are your thoughts about the Green Party? I do not support scams and the scam artists.. Do not be fooled! And about Vlad... I am still applauding him and his efforts for showing the entire world the truth about "terrorism" and how it is a Jew spew fraud!